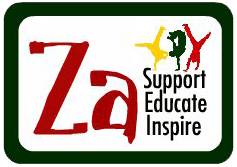 On Wednesday, 5th November one of our directors, Jayne Morris-Thurgood, visited Redland School in Bristol to give a presentation to the Year 8 students about the work of the Za Foundation. 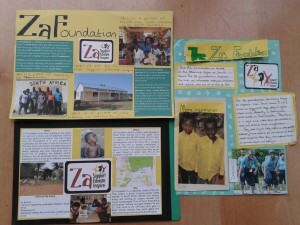 Following her visit the students were asked to create a poster or leaflet outlining details of the charity and the messages we are aiming to get across. 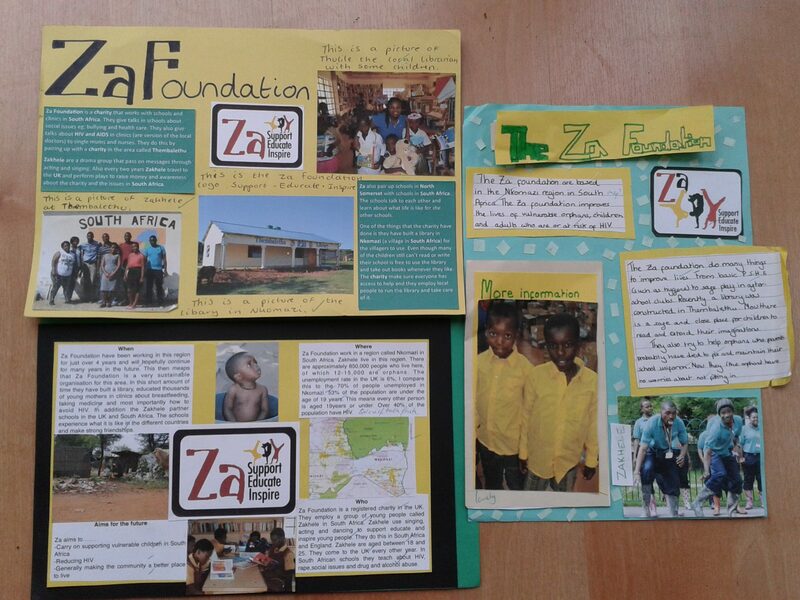 This week, we had the welcome task of judging the posters and the three shown below were our winners. Well done, girls!